Managers are constantly confronted with solving complex problems and making critical decisions. If not handled properly, these problems can have severe negative eﬀects on operations and profitability. This course equips managers with the right tools and techniques to ensure they will find proper and permanent solutions to problems and make optimum decisions. Participants will learn how to develop the right mindset for solving ​problems, and enable them to understand, analyze and appreciate the diﬀerent types of problems, conduct in-depth root cause analysis and make the right decisions for permanent solutions. Participants will also discover that some problems cannot be solved using rational problem solving methods but need diﬀerent, more creative approaches. In this course we will enhance the participants' idea generating proficiency and we will enable them to lead a creative team. Finally, and after a solution is formulated and a decision is made, participants will learn how to 'sell' their solutions to stakeholders and get the buy in. On this course, participants will also discover how to influence others and get support for what has been decided. This highly practical and interactive course uses models, practical exercises, case studies, presentations and group discussions to develop managerial problem solving and decision making capabilities. Team leaders, department managers and supervisors who are involved in leading and participating in solving their teams’ problems, as well as making and implementing decisions. 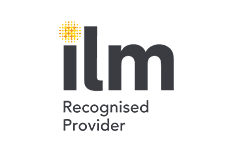 ILM: ILM is the leading provider of leadership and management qualifications in the UK and part of the wider City & Guilds Group, a global leader in skills development. City & Guilds was established in 1878 and is the oldest and largest awarding organisation in the UK. Meirc is pleased to be a recognized ILM provider. This recognition means that participants who fully attend any Meirc course endorsed by ILM, and successfully pass the assessment administered at the end of the course, will receive a certificate from ILM, in addition to the certificate they receive from Meirc. All delegates enrolled in ILM-recognized courses are also entitled to receive a 12-month FREE ILM studying membership. This free membership gives such delegates access to a wealth of support to help them with their studies and their leadership and management career.